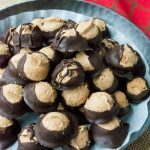 These rich and creamy Low Carb Buckeyes are a no bake sensation! 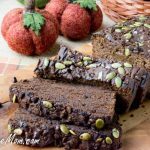 Gluten free, grain free, sugar free and low carb! Is it the family that comes from far away to visit for a few days? Is it few days off from work that makes you smile? Is it just the fact that some little indulgences are in order in the food department? Or maybe it might just be all these things combined that make for a comforting Christmas. I think it is all these things wrapped up into a special time of year for me. A time where I remember what’s important and I’m thankful for all the last year has brought our way. I not only reflect on the great memories, but enjoy making some new ones each year. I think that’s why Christmas is so important to so many of us who celebrate it. You’ve got some amazing memories from Christmas cookie making or a Christmas feast with family who might not longer be with us. Each Christmas we always remember my grandmother and all the baking and goodies she would make just for us. She’d be baking from at least Thanksgiving up until Christmas Eve and never once complain, she’d just ask for more cooking and baking supplies at the store! 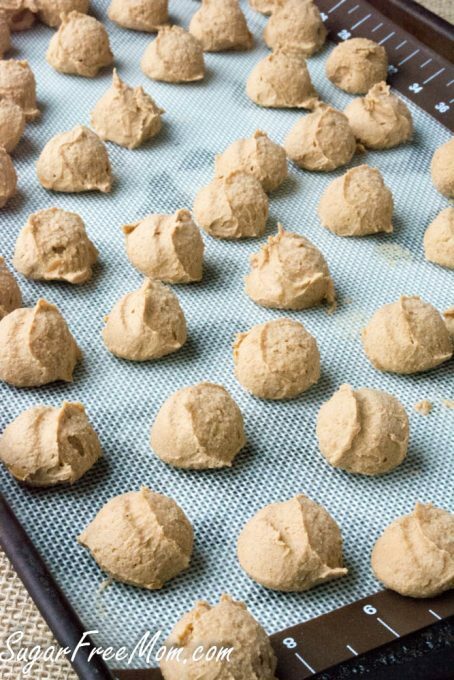 We always make our traditional favorites, like my Grandmother’s Butterballs that are in my cookbook. 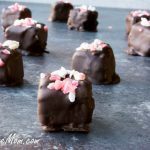 But then I always try to add some new recipes each Christmas as well and this recipe is one of them. These are my hubbies favorite and our daughters too. The boys can’t enjoy them as they contain peanut butter but they could easily be made with sunflower seed butter if I knew my boys wanted them. Whatever you make this Christmas I hope you enjoy every minute of all the work that goes into it. It’s the making of memories that the family remembers the most. You could skip the protein powder and use more Swerve but I haven’t tried that substitue although I think it would work. If you use another granulated sugar free sub besides Swerve then you can remove the stevia as it won’t be needed. If you need a Christmas gift, there’s still time to order my cookbook on Amazon and have it in time for Christmas! Place all ingredients into a stand mixer and blend until smooth. 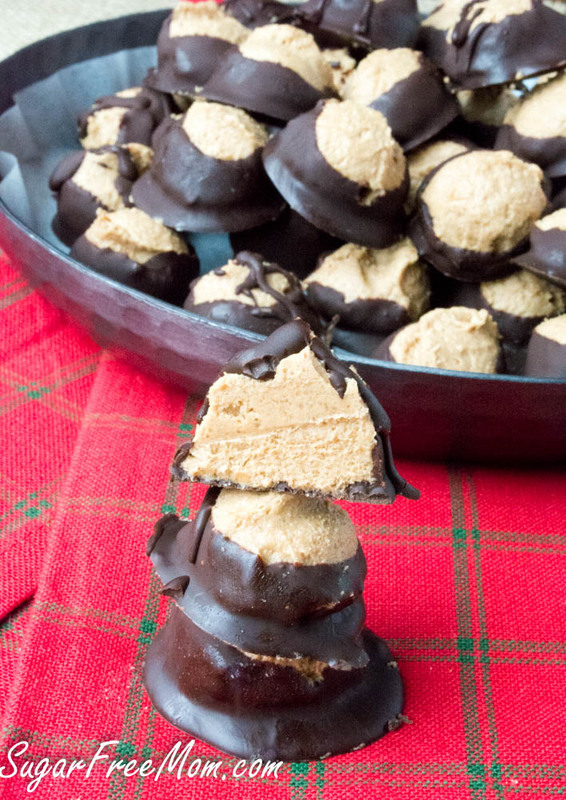 Using a small cookie scoop make 4 1/2 dozen balls. You could roll them after scooping to make them more precise in shape if you like. I did not as you can see. Melt chocolate and butter in a microwavable bowl for 30 seconds to a minute. Stir until smooth. 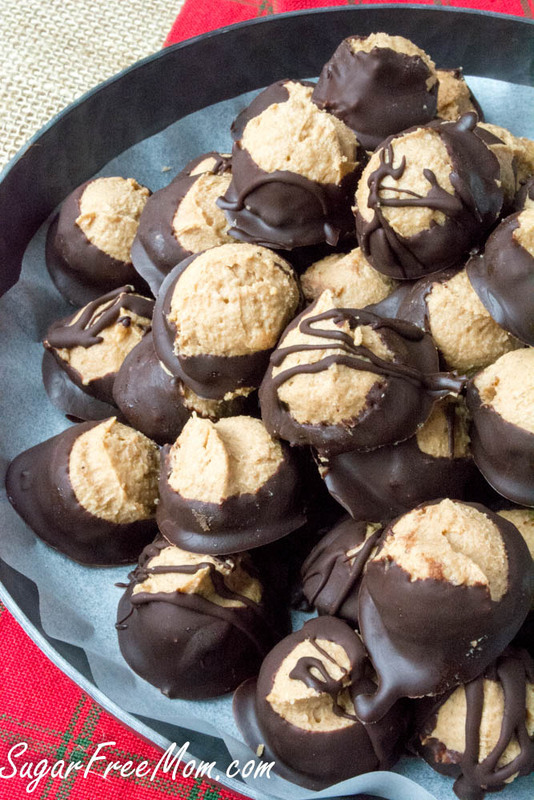 Do half the batch of peanut butter balls and keep the other half in the freezer. 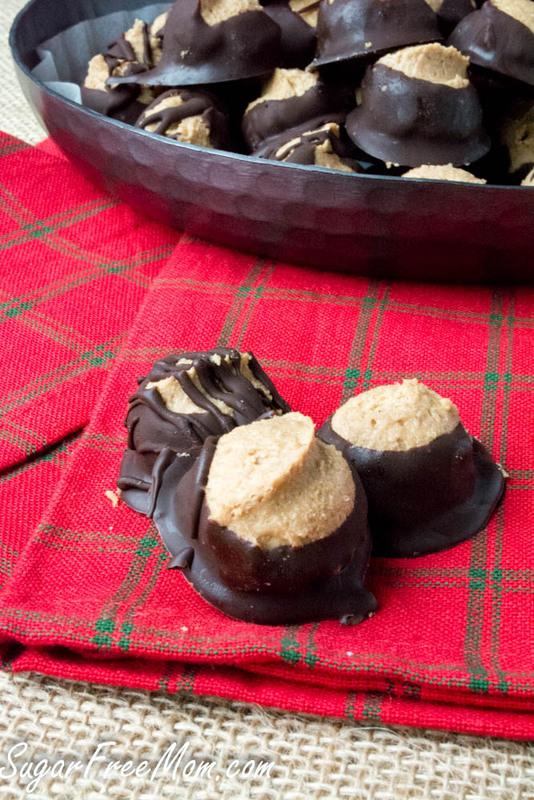 Use a toothpick in center of each peanut butter ball and dunk in melted chocolate. Yes I use Lily’s chocolate chips and bars often and you can certainly use them here as well, but the carb count will go up when using them. 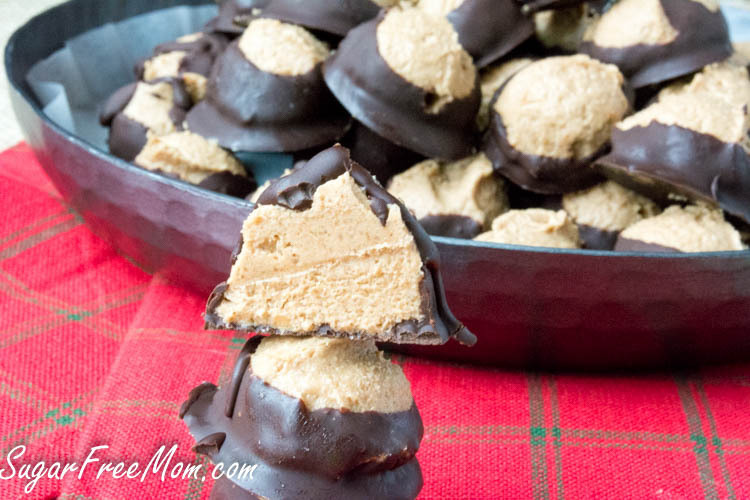 I subbed sunbutter for the peanutbutter, they were wonderful for a Christmas treat. Thanks for the recipe and all the instructions. 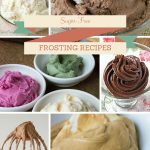 I still have some extras in the freezer to enjoy when I need a little something. Great to hear thank you for sharing! Why would you need the stevia only if you use Swerve and not with other sweeteners? 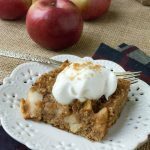 Swerve is much less sweeter than many granulated substitutes that are sugar free. Brenda, have you ever tried coconut oil in place of the butter? I have but not in this recipe, I think it would work though. oh yea Brenda I forgot to mention that I added a bit of pink salt to taste and used Pyure erythritol sweetener with stevia and some pure sucralose (sukrin) in there also .. 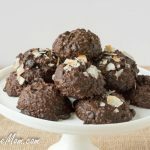 I use coconut oil instead of butter in the chocolate, it works great. Love your recipe. I have been using almond butter as well they are really good. Although sometimes they need a little almond flour to thicken up. Whoa this is a little confusing. Serving size 18, but make 4.5. Dozen balls. They’re either huge for 18 count or super small for 4.5 dozen balls. The serving size mentioned is 3 balls. So under the title there are 18 servings which is 18 times 3 which equals 54. 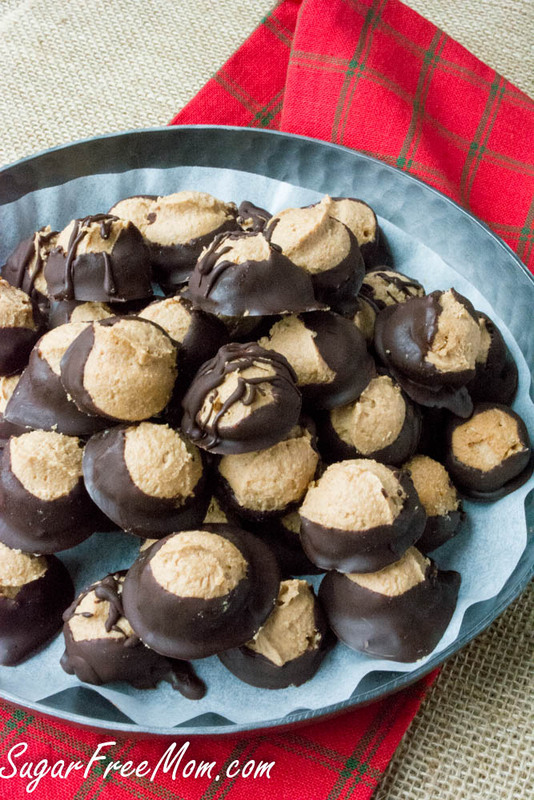 That is the 4 1/2 dozen total balls you will get in this recipe. 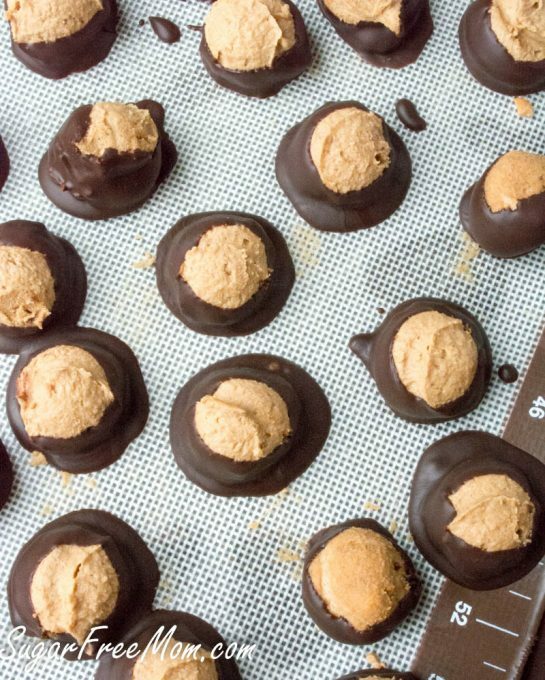 I skipped the vanilla protein powder and used PB2 and kept adding until I got the desired consistency for rolling the balls. I also added a little wax to the chocolate to help them stay firm once set. They actually turned out perfectly. 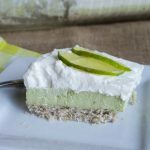 Great option for my family members who are sugar free/low carb. 🙂 Thank you!